Home / Uncategorized / 12 Days of Giveaways: Grand Prize! It’s finally here! After 12 Days of AMAZING gifts, we have arrived at the big finale: the Grand Prize. I hope you’ve been keeping track of the 15 reviews that we’ve posted over the last 12 days, because here is your chance at winning the Grand Prize! The first addition to our Grand Prize is a set of 4 hand stamped coasters from Made by Meg. Marble tiles stamped with a solvent based ink means that the image won’t wash away when used. Sealed to prevent stains and fading, these coasters make a perfect gift! Next we have a custom cake provided by Just Baked. Ashley creates edible masterpieces to fit any occasion. From cupcakes to cheesecake pops and of course amazing cakes available in a variety of fun flavour options – let Just Baked bring your cake ideas to life! 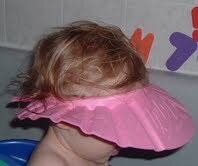 The Shampoo Hat makes hair washing a breeze! Sarah is providing the grand prize winner with a hat in the colour of their choice! Scentsy is more than just warmers and wax! Layers by Scentsy lets you build a fragrance wardrobe, layer by layer, from your skin to your clothes. Make Scentsy fragrance your signature! Megan Duquette – Independent Scentsy Consultant has donated a Layers Gift Pack featuring hand cream and solid perfume in the amazing Love Story scent. 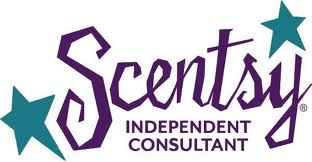 Megan Duquette- Independent Scentsy Consultant has also donated a Scentsy Buddy! Truly loyal and super snuggly, Patch the Dog is 24 cm tall when seated. Starrie Night Photography specializes in natural light photography, focusing primarily on families and children/babies. Let Diane help you capture some precious family moments, with a 30 minute mini session at the location of your choice in Kitchener/Waterloo. PlayFit Kids Club is an awesome alternative to the playground. An indoor playground for children of all ages- plus programs and classes for the whole family. You’ll never want to leave! Included in the Grand Prize is 1 Play Pass for PlayFit Kids Club! Frocks For’Tots is a Facebook based Consignment store located in Kitchener-Waterloo. With impeccable service and quality items you’ll find what you need with Frocks! They have generously donated a $20 Tim Hortons Gift Card to our Grand Prize. This amazing final Grand Prize in the Waterloo-Moms 12 Days of Giveaways opens at NOON December 13th and closes MONDAY, DECEMBER 17, 2012 at MIDNIGHT. The GRAND PRIZE WINNER will be announced TUESDAY, DECEMBER 18, 2012. Wow, what a fantastic grand prize! If you really wanted to win one of these prizes the first time, here’s your second chance to win it and more! Wow, that is an impressive grand prize! What a fantastic grand prize! Thanks to all the generous businesses who donated. ooooh so many nice things!!! Thanks for all the great prizes! Great line up of prizes. Whoever wins is very lucky!! This is fantastic…lucky family who wins this!! !